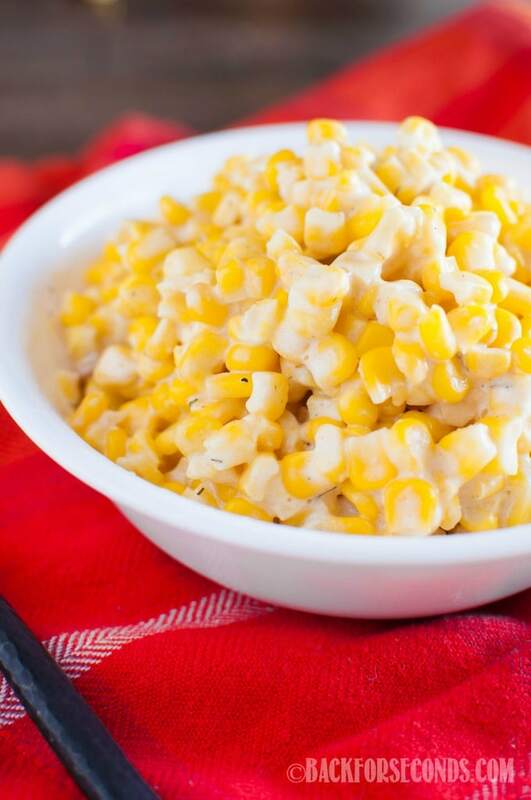 Cream Cheese Corn in the Crock Pot is a family favorite! A wonderful, easy side dish for Thanksgiving or Christmas, and will make any meal extra special! GET MY COOKBOOK HERE (MAKES A GREAT GIFT!!). If you are looking for an easy side dish to make for the upcoming holidays (or for dinner tonight), look no further! This recipe is a long time family favorite. I have been making it for years, it’s absolutely delicious, and it couldn’t be easier to make, thanks to the crock pot! This is one of those recipes my family begs for. They would eat it with every meal. The flavor is so amazing, and you are going to love how simple this recipe is to make! 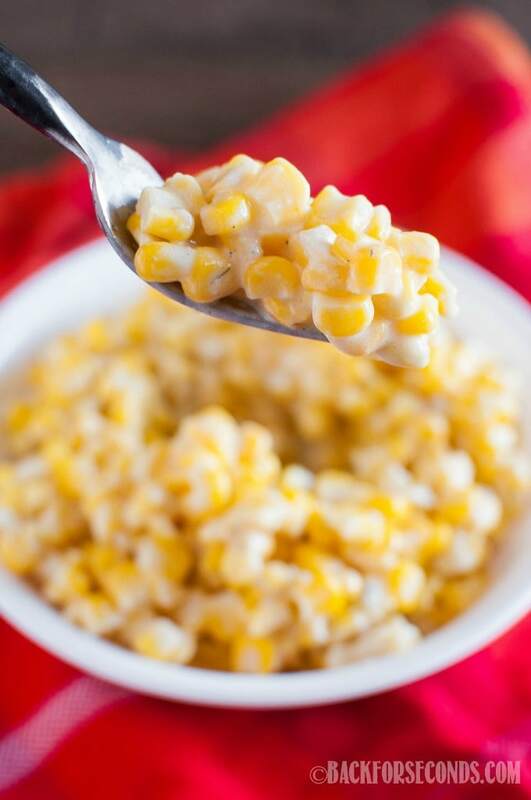 It so creamy, but not mushy like creamed corn. 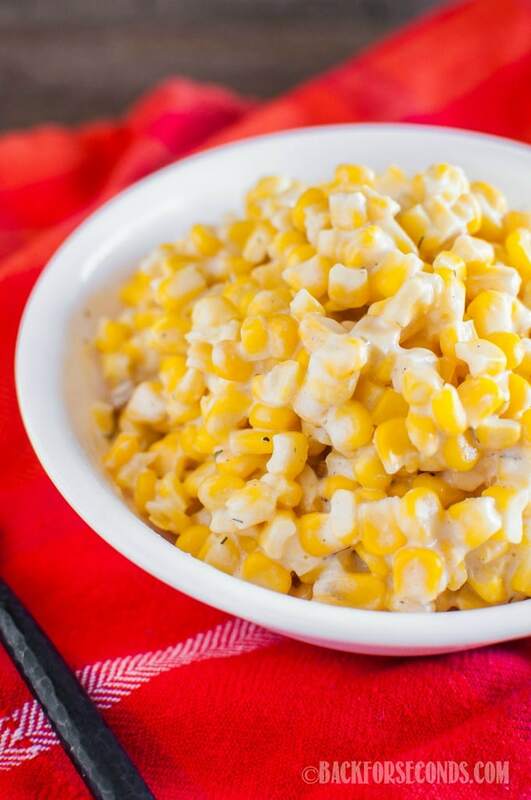 Check out the video I made to show you how easy this Cream Cheese Corn in the Crock Pot really is to throw together. We all could use a few stress free recipes, whether it’s a holiday or a busy weeknight. Enjoy! Hi. This looks so yummy. If I halve the recipe, would i also halve the cooking time in the crock pot? Thanks. What size crockpot? Do I cook frozen corn first?